Busy making the final touches to my projector HID purchase and angleyes and devil eyes look very cool, but would be lost behind the patterned glass. 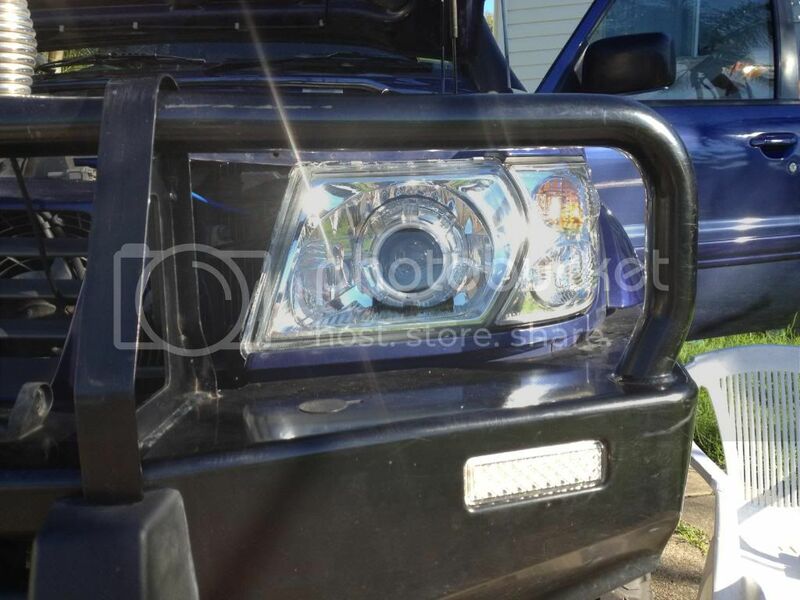 The guy in Oz who is building the kit can supply headlight housings and lenses.... he is getting back to me with a price but its going to be ouch expensive. Anyone have a set kicking about? I think that will look very cool..... post some pics if you can !!! I am sure you can get n headlight set from dawid volskenk if you need a set to modify? ??? Golf h4 lights fit and works on the Safari.. Ek het set op Lobo gesit met 130 w gloeilampe in en dit lig beter as die spots wat ek op Boezman gehad het... Vir onder R600 vir die stel. ek heppi daarmee. Sommer by Midas gekoop. Oom Mac, dit is seker die Golf mk 1 se ligte wat pas op die Safari? Hi Mac, het jy ook vir ons fotos? This is what they will look like in the end. Hopefully.